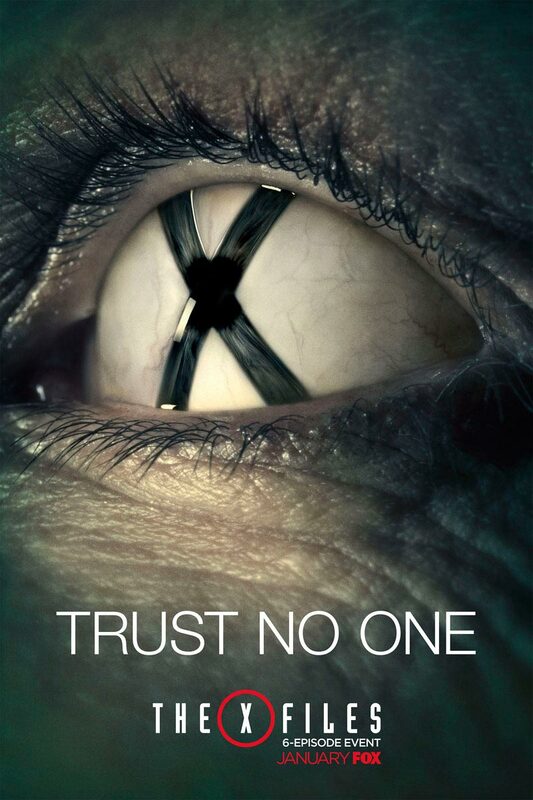 Ahead of January’s anticipated X-Files 6-episode TV event, Fox – the network, not the character – has released a set of three new posters. 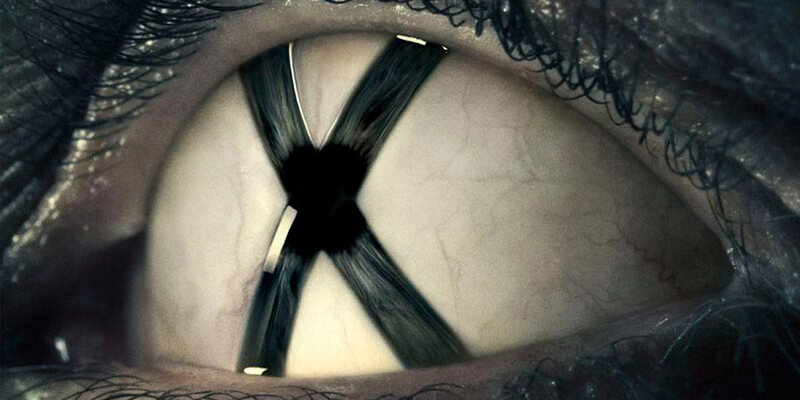 Originally airing from September 1993 to May 2002 and spawning two movies, the show followed the paranormal cases of two FBI agents, Fox Mulder and Dana Scully. 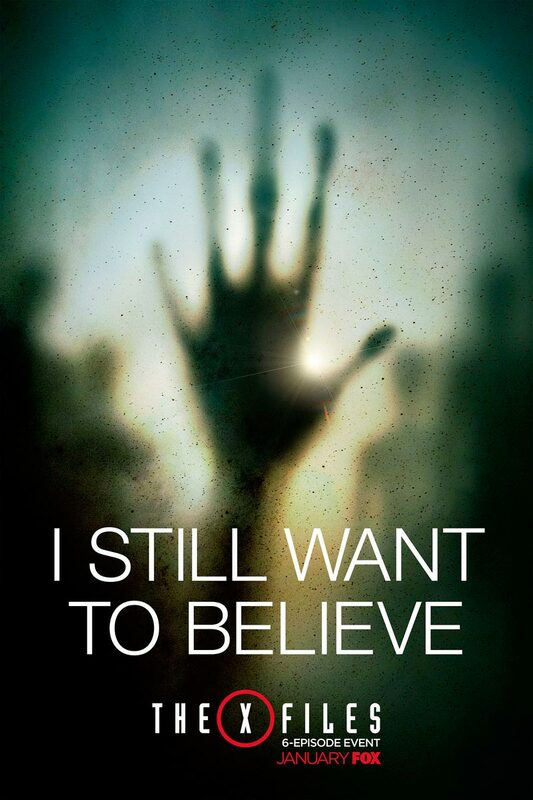 The main mantra of the show was “I want to believe,” and featured a series-spanning story arc which focused on the paranormal and the existence of aliens and government conspiracies. 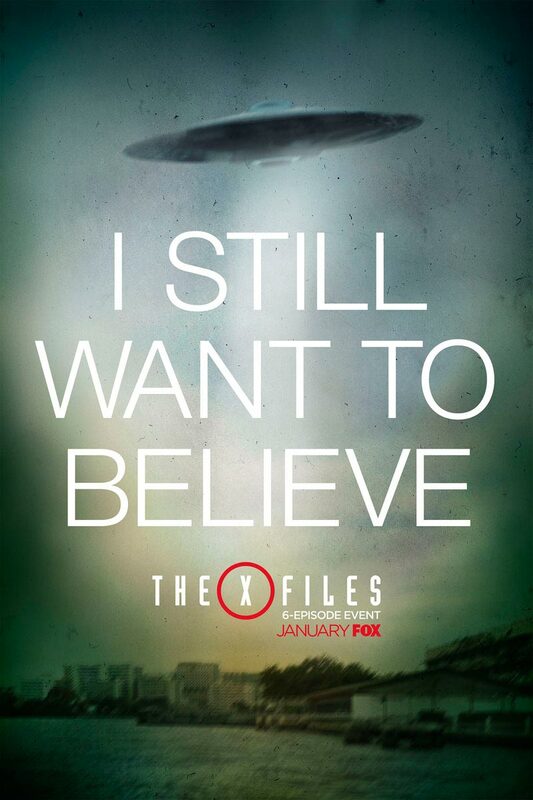 As you can see, the new tagline is “I still want to believe,” and two of them feature hints of aliens with the UFO and the hand, while the other plays more on the title of the series. As we previously indicated, Mulder and Scully are enlisted to help stop an attack by a multi-national group of elites using – you guessed it – alien technology that the government has been hiding for the past 70 years. 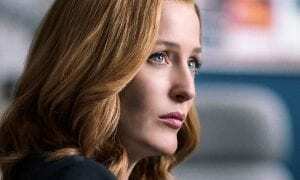 The X-Files miniseries airs on Fox on January 24, 2016 and stars David Duchovny as Fox Mulder, Gillian Anderson as Dana Scully, and also sees Mitch Pileggi and Annabeth Gish returning to reprise their roles as well with Chris Carter back at the helm.